any subscription or renewal to Today's Dietitian. That means you SAVE 25% (or ¼th) OFF the regular subscription rate! 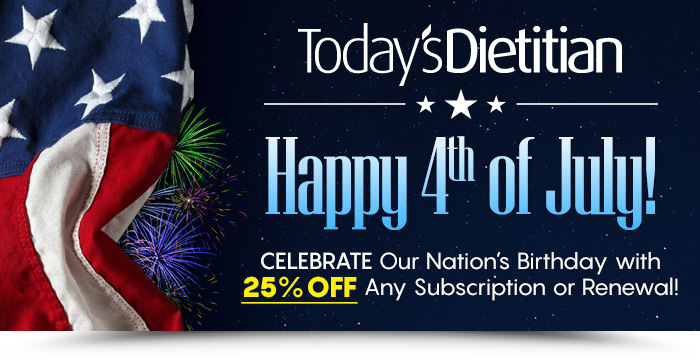 Happy 4th of July from all of us at Today's Dietitian.